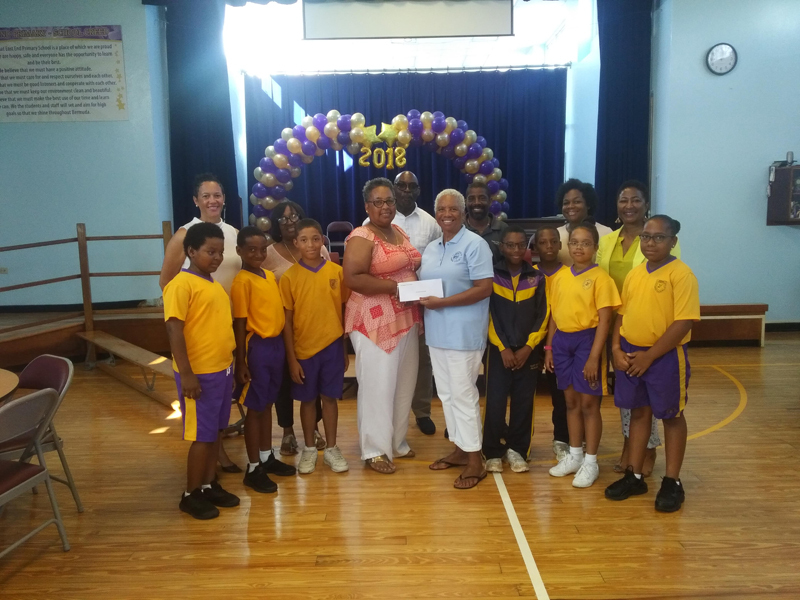 The St. George’s Parish Council recently presented East End Primary School with a donation of $500 to go toward their Primary 5 and Primary 6 school trip this month. A spokesperson said, “Five teachers and one parent will be accompanying approximately twenty students, three of which are in the schools Functional Skills Programme. “This is an educational tour to a Lancaster, Pennsylvania to visit an Amish home and farm, and it will also include museums and other places of interest in Washington D.C. The trip will provide the students with the opportunity to experience and solidify the connection between Jamestown and Bermuda and will expose them to cultural exhibits in both states. “St. George’s Parish Council is pleased that we were able to contribute this donation and lessen the expenses for the students. We know that this will be an awesome opportunity for the students and we look forward to hearing about their experiences upon their return. I also went on that trip with East End, quite the experience.